← Winners of “Once There Was A Way” Giveaway! Strange to give a book 2 out of stars/beetles, when the reviewer clearly states “The writing is exceptional and despite my dislike for fan fiction, there was a point where I found myself caught up in the kidnapping of Lennon.” This means it is a well written book, and does what a books intends to do: engage and entertain. 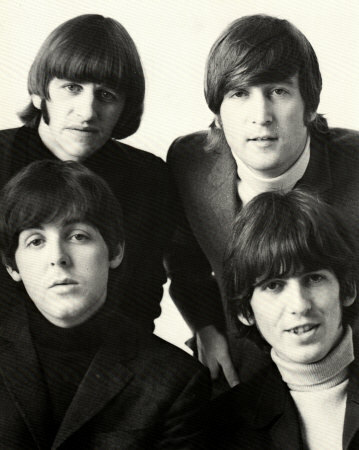 Do you really choose to review a book for Beatles’ fans or fans of Beatle-fiction? Look at the books you reviewed. In a similar kind of argumentation, you suggest ‘The Man in The High Castle’ is a book/series for lovers of 2nd WW fans of Germany and/or Japan? ‘Once There Was a Way: What If The Beatles Stayed Together?’, by Bryce Zabel is not a bad book for any novel reader… actually it is very well written and has a nice story-line. Which can easily exhilarate non-Beatles’ fans as well. The publisher choose the long road and limited the interest of the books by picking/accepting this title. b.t.w. I think this is ‘alternative history’. You’re points are very valid and I value them a lot. As I pointed out in my review Bryce has the Beatles starring in 3 movies from 1969 to 1975 and at least two of those movies won numerous Oscars. Paul McCartney winning an Oscar for playing Frodo? John Lennon ends up living with Linda Ronstadt during his lost weekend and is kidnapped by a leftist group. George Harrison meets Steve Jobs in India, befriends him and Steve ends up with the ultimate plan to find and rescue John Lennon. Alternative History? Mmm…not in my mind. It goes way beyond “what if the Beatles had stayed together” right smack into Fan Fiction. And Mr. Zabel has every right to tell the story the way he wants to tell it.